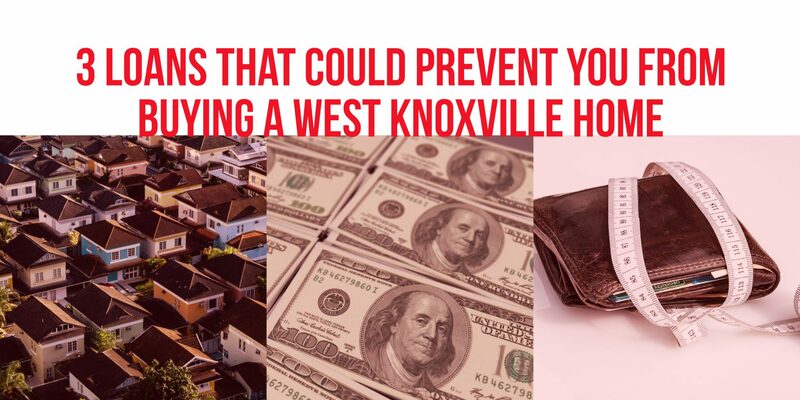 Debt is both a blessing and a curse when you think about buying a West Knoxville home. In order to be approved for a loan, you need a decent credit score and to have a decent credit score you need to have some level of debt. But, when you have too much debt, you could find yourself in a bit of trouble, since that could affect your ability to afford a home. A car loan won’t make it impossible for you to buy a West Knoxville home. But, if you’ve got a lot of other debt, it could make it more difficult. A car loan can often be good for your credit score since a car loan is typically a bit harder to get than just applying for a credit card. A car loan is an installment loan, so it’s good for your credit score, so long as your good about making your payments. A car loan can hurt your ability to buy a home when your car loan is outrageous. If you have expensive taste in cars or decided that you wanted a higher payment so you could pay off your loan quicker, you may find it harder to get a mortgage. A car loan adds to your monthly debt, so it will count against you when you apply for a loan. Student loans can be expensive. This is one thing that can hold many buyers back, particularly first-time buyers. Student loans won’t prevent you from buying a home if the rest of your debt is minimal. Unfortunately, when student loan debt is combined with other debts, that usually what sets buyers over the edge. Like all other forms of debt, student loan debt will figure into your monthly debt-to-income ratio. If you’ve continued to make your monthly payments on time, student loans won’t necessarily hurt you when buying a home. Try to minimize other forms of debt when you have student loans. This is what often hurts buyers who have student loans when they have a large car payment or student loan debt. Finally, if you currently have a mortgage on another home, you could find it hard to buy a West Knoxville home. Your ability to buy another home while you have another mortgage is largely going to depend on if you have enough income to cover an additional debt. When you have another mortgage, it’s typically a significant amount of debt. Even if you pay your mortgage every month on time, you may not be able to afford another mortgage. In order to determine if you can afford another mortgage, a mortgage lender will closely at your debt-to-income ratio. They will look at how much debt your currently have and how much an additional mortgage would increase that month debt. Depending on your gross monthly income, you may or may not be approved for an additional mortgage. Since a mortgage can be an expensive part of your monthly debt, it’s not always possible for every buyer to have two mortgages at once. You may need to sell your current home in order to be approved for another mortgage. Or, you may find that in order to afford the home you want, you need to sell your current home. Whether it’s your first or fourth home, buying a West Knoxville home is an exciting and overwhelming experience. If there is anything we can do to help you in your home search, please do not hesitate to contact us. We’ve helped countless homeowners buy homes in West Knoxville and we’d love to do the same for you. Rick can be reached at 865-696-9002 or via email at Rick@KnoxvilleHomeTeam.Com. Kati can be reached at 865-696-1888 or via email at Kati@KnoxvilleHomeTeam.Com. Are you ready to start your West Knoxville home search? Visit our West Knoxville home search page to get started today. Or, be sure to keep up with our West Knoxville Real Estate Blog to keep up with the latest information about buying your first home.